Chicken, Sundried Tomato, Avocado And Spinach Sandwich - I Am Proud Of My Kids! Nutrition: 338kcal, 30g carbohydrates, 11g protein, 19g fat, 1g sugars. Preheat grill to 200 c.
place chicken breast under the grill for 14 minutes, turning after 7. Top one slice of bread with spinach, avocado, and sundried tomatoes. Once the chicken is cooked tear it into slices and add to sandwich. 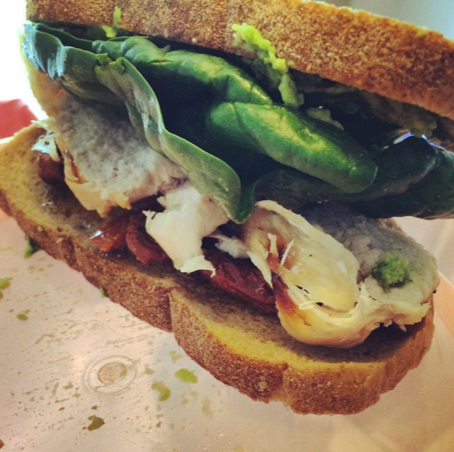 Be the first to comment on "Chicken, Sundried Tomato, Avocado And Spinach Sandwich"